The C10 is designed for mid scale broadcast environments where a range of operators from specialist audio engineers to professional all-rounder’s might operate the console. 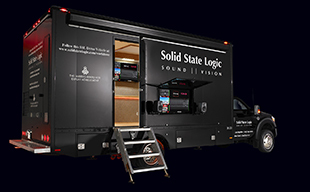 It has the power to enable experienced audio engineers handle complex productions and the simplicity for camera/lighting/audio operators to handle everyday productions. 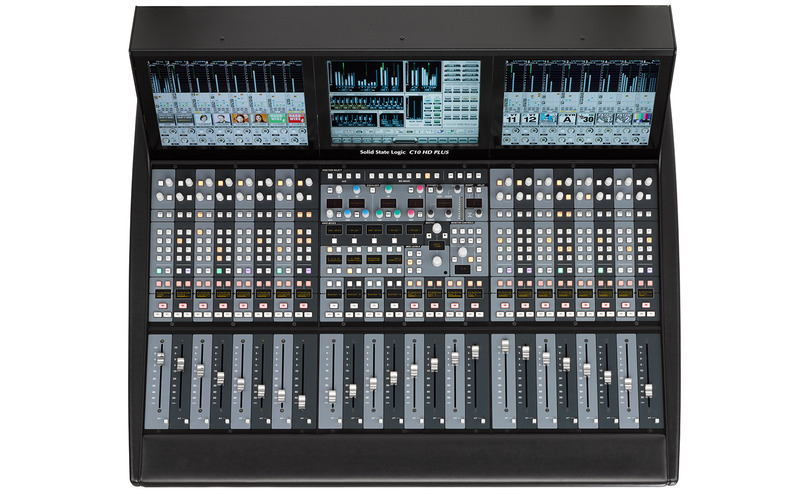 C10 benefits from decades of broadcast audio console design and delivers the immense power of its extensive feature set in an elegant streamlined operating environment. 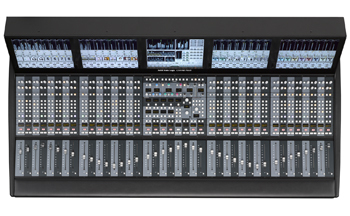 The C10 has evolved from two decades of expert broadcast console design. 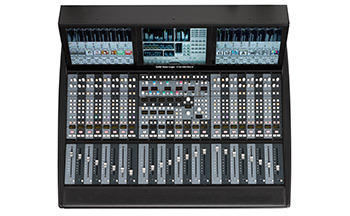 The C10 builds upon this legacy and is designed specifically for use in broadcast environments where a broad range of individuals with varying roles and skill levels need to use an audio console. Beneath its elegant, uncluttered, deceptively simple surface, C10 offers all of the power, sophistication and benchmark performance of the acclaimed C100 HD console. Experienced Operators will find this refined and simplified new control surface makes configuring and running shows a truly rewarding and comfortable experience. Key operational features remain available for immediate hands on operation at the highest level of the control interface and extensive system information is available at a glance at all times. Experienced Operators will also find that when the need arises, they can drill down into the sheer depth and sophistication of the worlds finest and most comprehensive Routing, Monitoring and Processing environment extremely quickly to keep pace with the demands of more sophisticated projects. Operators familiar with the C100 will be able to transition smoothly to the C10. C10 ensures that all users are presented with a system that offers a degree of control and functionality that suits the needs of their role whilst reassuring all users that they will not ‘damage’ the system configuration accidentally. This is achieved through our unique ‘Feature Match’ system where a set of ‘User Passwords’ and administrator defined ‘Presets’ determines the functionality that is presented to the user. C10 features a multi-lingual contextual on screen help system that provides extensive operator guidance from within the user interface. Admin – At the highest level the System Administrator has access to all system configuration and operational settings. Administrators configure deep system settings for installation and maintenance and can create ‘Presets’ for other users to access in every day use. Standard – Standard mode provides highly skilled operators with everything they need to run complex shows; they are able to recall and edit Presets created by the System Administrator, changing channel processing, adjusting basic routing and creating additional channels as required. Preset – Preset mode allows every day users to recall Show Presets and manipulate fader levels to manually run shows. Additional channels can be added and individual Channel Presets recalled to select a typical channel processing configuration to suit the audio source. Locked – C10 is ready for Station Automation. In Lockdown mode almost all features of the control surface are completely locked, leaving the console in a tamper proof state. C10 employs a combination of dedicated & assignable hardware controls, touchscreen interface and ‘channel info’ displays to create a simple, logical, intuitive and comfortable environment. The console is compact ensuring that all of the Hardware Controls are within very easy reach and labels are easy to read. The layout is uncluttered and logical with key operational features assigned dedicated hardware controls. The C10 Channel Info screens present a refined dedicated display of channel routing and metering with all top level settings visible at all times. SSL’s innovative ‘Eyeconix’ system provides instant visual recognition of each channel’s audio source. The lower section of the Channel Info screens combine with adjacent assignable hardware controls for easy access to inputs and sends. Control Surface channels are freely configurable as mono, stereo or 5.1, have flexible processing order and are arranged in easily configured and selected layers. The C10 design and colour scheme avoids eye fatigue even on long sessions. The Centre Section hardware controls provide immediate hands on access to; recall of Presets for immediate use, assignment of editable parameters to ‘Channel’ & ‘Centre Section’ Assignable Controls, Monitor source and destination selection & level setting, and a ‘Master Channel’ featuring a set of hardware controls for EQ, Dynamics and FX controls for adjustment of any selected channel. The Central Touchscreen provides clear, permanent, simultaneous master and bus level monitoring and instant access to configuration tools for Admin users. 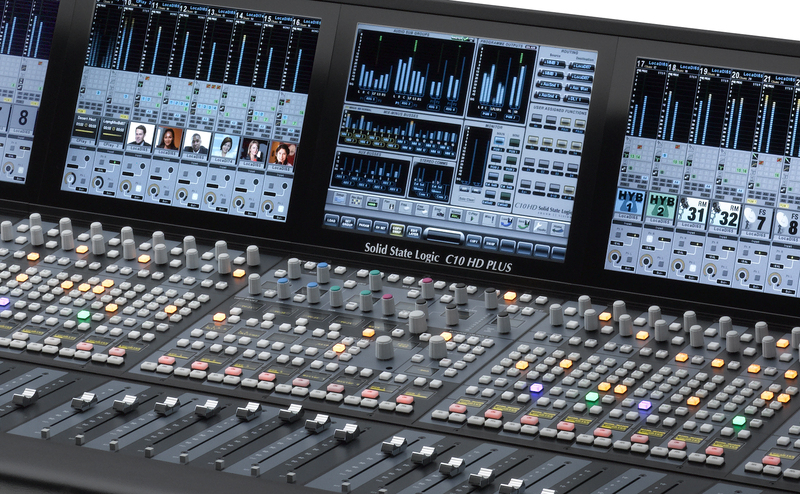 The SSL software interface makes accessing, displaying and adjusting routing and processing settings fast and effective. Unlike other systems where users must scroll through layers and pages to access parameters, SSL’s unique OS means you select one or many channels (using channel Attention buttons) and within a couple of screen touches your channel settings are recalled and displayed for adjustment. System configuration menus are equally streamlined, reducing the required Administrator time for system configuration and Preset creation. SSL’s Eyeconix system offers a unique facility to use thumbnail images to identify audio sources within the metering display of each channel. Eyeconix provides intuitive ‘at a glance’ identification from a far greater distance than traditional text labelling and transcends language barriers. A contextual on screen help system provides extensive operator guidance. By placing the control surface in to Help Mode, the next control touched does not change any settings but recalls the associated Help Screen for the currently assigned parameter on the selected control. Within two button presses, helpful explanations and practical direction can be displayed for any control or function on the console. The contextual help system can be displayed in one of a range of languages. The C10 features a ‘one touch’ system that creates a Mix Minus Bus with a single button press and provides an extremely simple system for adding and removing audio sources to/from a Buss. A ‘Quick Route’ system simplifies and streamlines all Bus routing. C10 features a range of software which automate or streamline key production tasks. Our Production Assistant features significantly streamline workflow for experienced operators and enable non specialist operators achieve HD ready professional results. C10 features a powerful, intuitive HD ready 5.1 production tool kit that benefits from SSL’s decades at the forefront of surround audio technology development. 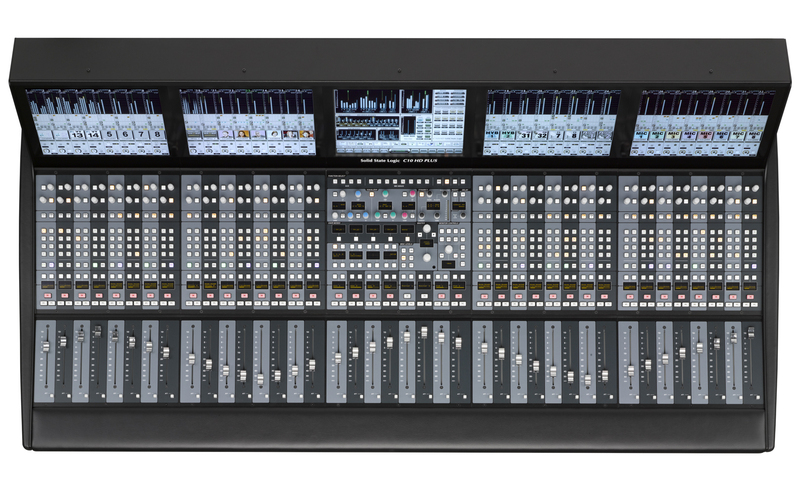 It offers streamlined 5.1 handling with single fader 5.1 stem control, simplified routing, monitoring and intuitive channel pan and processing tools. In addition SSL’s ‘5.1 Upmix’ system simplifies and automates creation of convincing 5.1 from any stereo source. Knowledge is power and the C10 keeps the user informed at all times. Channel Info screens display audio source, channel routing, comprehensive level metering and assignable hardware control information. The Central touchscreen is multi function; level metering for program busses, ASG’s and monitoring is displayed at all times with EQ & Dynamics graphic displays, system configuration controls etc displayed according to current selection.